Found in iron deposits nearly worldwide, Goethite (Brown Ochre) is named after Johann Wolfgang Goethe, the German philosopher, poet and mineralogist. Our unusually pure pigment is mined in Russia, south of Moscow. 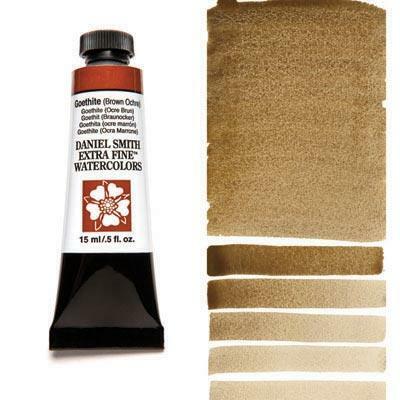 Rich and warm, DANIEL SMITH Goethite is a dark tea color in masstone and washes out to a rich, warm tan. In washes, it displays intriguing granulation, with pools of light and dark in every brushstroke. Like all colors derived from the earth, it is lightfast and permanent – a lasting connection to the planet and the creative forces of nature.